Two weeks from today, Christians all over the world will be celebrating the triumphant resurrection of our Lord and Savior Jesus Christ on Easter Sunday! And even those Christians who may not make every single Sunday service will find themselves gathering among the saints on that special day! And there are two more options to choose from as of now! “A healing experience,” said Kim. “We have so many friends that maybe feel a little too judgmental when they go to church or something like that, but when they come here, they feel so free and safe is what everybody says,” Khoe said. And below is a video of one of Kanye’s Sunday Services. But Kanye West is not the only celebrity who realizes we all need Jesus and will honor him on Easter Sunday. 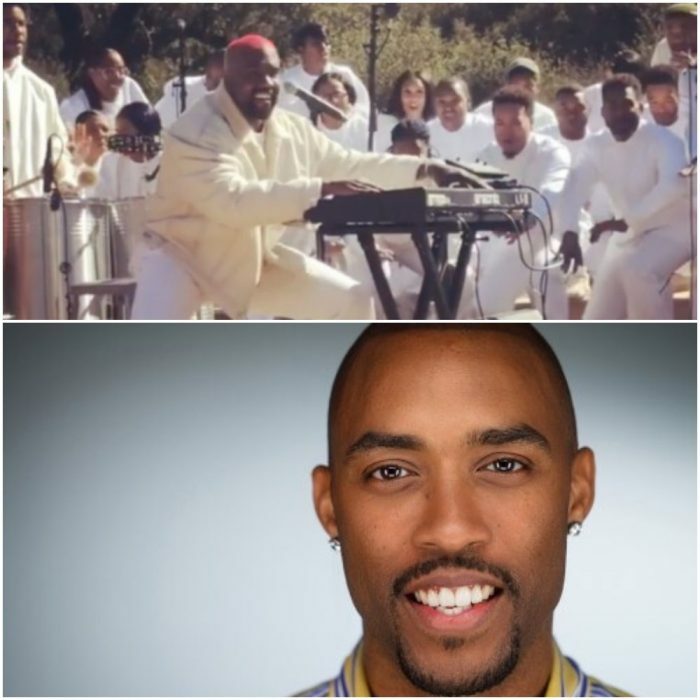 On the East Coast, here in the A, Montell Jordan will deliver a sermon on Easter Sunday outside on top of Stone Mountain, the AJC is reporting. Montell used to be an R&B singer and now he is executive pastor at Victory World Church in Norcross, Georgia. Wherever you find yourself two weeks from today, whether in a home service or a traditional service or on top of a mountain, I hope you will praise God for the resurrection of His son Jesus! Happy Valentine’s Day Y’all! As has been said, “You Can’t Hurry Love, No You’ll Just Have to Wait.” After deciding that I most definitely wanted to get married in 2003 (and telling God to show up right then), I had to wait until Valentine’s Day weekend 2010 to go out on a first date with the man who would become my husband in 2013! (Happy First Date Anniversary to US) That’s seven years of waiting if you’re paying attention! Lucinda Myers, a florist and baker, moved to Huntsville, AL in July 2013, the same month that Murphy returned to church. Myers is originally from Boston, which coincidentally is also Murphy’s hometown. Having been divorced and single for 30 years, she had been praying and waiting for God to send her a husband. And although the wait was difficult, and she had moments of saying out loud, “God, where is he?”…she kept on praying and doing the things that made her happy, such as cake decorating, babysitting and helping others. She moved to Huntsville for a fresh start. Each Saturday, Lucinda sat in the balcony on the front row at church while Murphy was one row behind. For over 3 years, they both occupied the same space in church but didn’t have any interaction with each other. Murphy had made it up in his mind that he was not going to talk to anyone because he really wanted God to do the choosing. To read the whole story, go to giannasnellphotography.com. 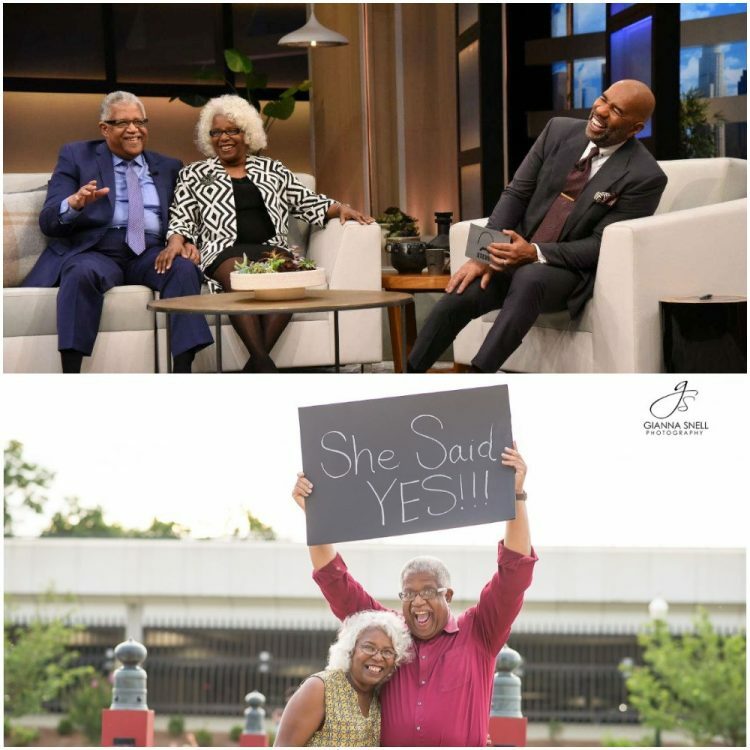 The couple told their love story to Steve Harvey on his show STEVE earlier this month. Check out the video below! 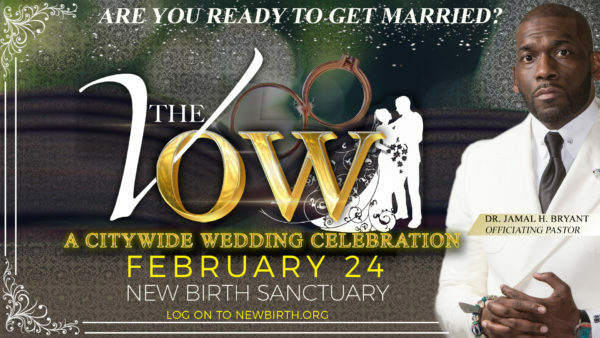 And if you find yourself engaged today and live in the metro Atlanta area, but don’t have the money to get married or other circumstances have prevented you and your love from tying the knot, New Birth Missionary Baptist Church is FREE City Wide Wedding during their 9:30 AM Worship Service on Sunday, Feb. 24! Now, pre-marital counseling is required for 2 sessions in their Multi-Purpose Room in order to obtain a Marriage Certificate from New Birth. And two sessions will be held THIS Saturday February 16 from 10:30 AM – 2:30 PM and THIS Sunday, February 17 12:30 PM – 3:00 PM! For more information, go to newbirth.org. Also, if you are single today, you can get free wings at Hooters! From Thrillist: It’s true. Head to the famously skimpy restaurant on February 14, and you can partake in its annual “Shred Your Ex” event. Buy 10 wings, rip up a photo of your ex, and you’re going to land 10 boneless wings for free. As Jimmy Durante would say, “Hot cha cha.” If having to step over the waggling tongues of drooling pubescent teens isn’t your idea of a good time on a lonely Valentine’s Day, you can shred exes online. After you tear your former partner to pieces, you’ll get a digital coupon and can order some wings to take back to your empty apartment. Though if you do it at a restaurant, the pictures go into a shredder, which will truly impress the teens at the table next to yours. Teens love shredders! Finally, whether you’re hitched or single and just love a good love story any time of the year, one of my favorite authors Kim Cash Tate is a launching a new web series “CLING” on You Tube. Premiering March 9, A New Love Story. It’s time to cling to your First Love. Shiloh ‘Rikki’ Stevens has a thriving ministry inspiring countless women to cling to God. But as her personal life crumbles, she finds herself holding on to God for dear life . . . and sometimes losing a grip. Created and written by Kim Cash Tate. Directed by Will Thomas. See the trailer above! Will Christian Couples Make Love to David & Tamela Mann’s Clean R&B Love Music? So last night I received this Christian Post article in my inbox from a Facebook friend: David and Tamela Mann Release R&B Album Offering Christian Couples Clean Music to ‘Make Love’ To by Jeannie Law. “It’s making baby music,” David interjected about the album. Produced by the couple and their son, David Mann, Jr., Tamela said her 30-year-old son pegged the album, “back in the day” music. They were so happy to be able to provide a project like this for the body of Christ. “Even though you knew we were talking about love, it wasn’t nasty love music,” Tamela explained. And what’s wrong with “nasty love music” anyway when it comes to what Christian marrieds are doing in the bedroom? The Word says the marriage bed is undefiled so if a Christian couple decides they enjoy “nasty love music” in bedroom, what is wrong with that? And maybe the Bible is even suggesting that Christian couples can listen to songs like Jay & Bey’s “Drunk in Love” in the bedroom? Have y’all seen this verse? Do you prefer “Good Love” or “Drunk in Love?” Do you prefer clean love music or nasty love music in the bedroom? Or can you listen to Bey & Jay and David & Tamela Mann in the bedroom?